If you are looking for an alluring WordPress theme that fits in all kinds of websites then CityLogic is definitely the one for you. This theme integrated perfectly with some of the free popular plugins like WooCommerce and Contact Form 7. With an eye-catching design with the option for a transparent header, you can use this theme for almost any type of site. 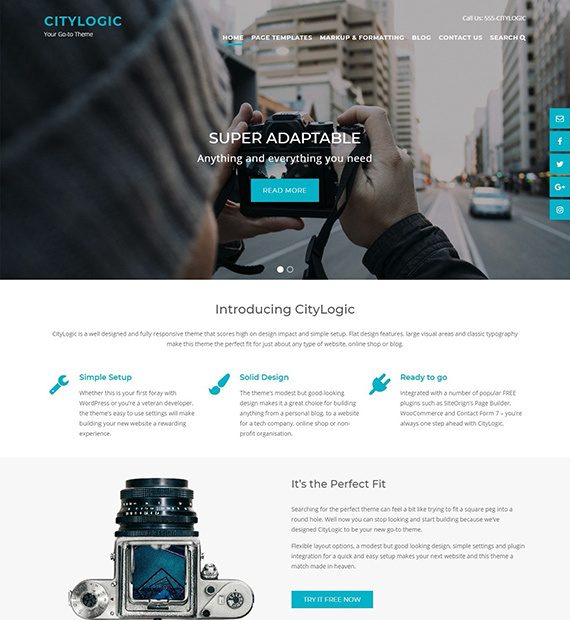 Simple yet powerful, add a touch of professionalism to your site with CityLogic!